Our white winter has meant plenty of quiet time at the shop this winter to prepare bikes for spring. We have lots of bikes – what we need now are customers. So if you or a friend need a bike, come on by. Unlike retail shops that only carry certain lines of bikes, we have a bit of every brand: Specialized, Bianchi, Trek, Bridgestone, Giant, Softride, Kona, Townie, and much more. It’s important to find the right bike – one that fits you and the way you plan to ride (fast, in town, on trails, carrying stuff, etc). Our shop staff and volunteers will take the time to find the right bike for you. We’ll encourage you to take a test ride and see how the bike feels, shifts and stops. Then come back and take a different bike out for a ride. Years ago, I thought I wanted a hybrid city bike. But when I went for a test ride, I found out no, I wanted to go fast. I next tested a road bike Trek built specifically for women. It felt right from the start. You won’t have a better variety of bikes to compare than at Sharing Wheels. We don’t have the latest models (very often), but the colors, the quality, and the fun-factor can’t be beat. 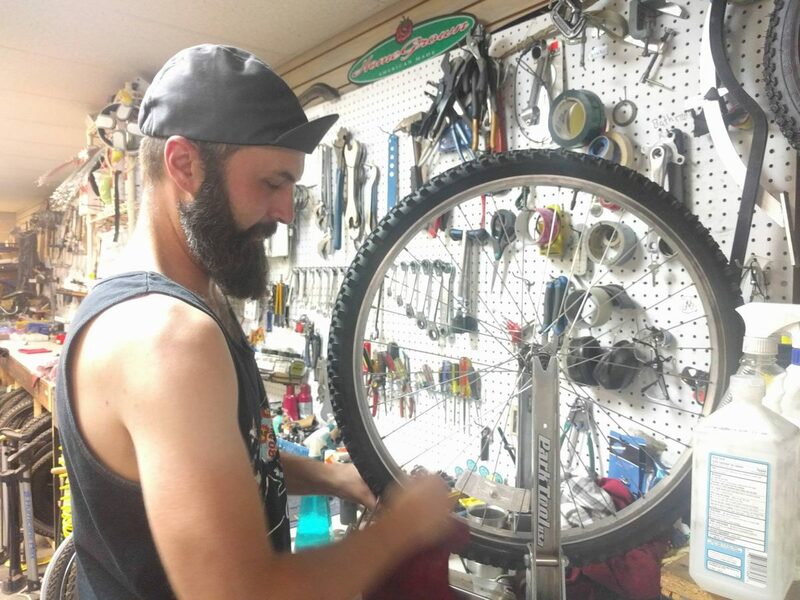 When you buy a bike from Sharing Wheels, the money pays for the refurbishing we might have put in (such as parts to ensure you’ll have a safe and functioning bike) as well as providing revenue that supports the shop overall. You’ll get a bike that’s right for you, and we’ll put one more unused bike back into circulation. Have you wondered how to get started as a volunteer at Sharing Wheels? Have you taken a class or helped with kids bikes, and want to keep practicing what you learned? Are you a past Sharing Wheels volunteer, and ready to re-engage? Come to the shop on the third Thursday of each month for a volunteer orientation and work party. We’ll pair up new and experienced volunteers, and put you to work – fixing bikes, organizing, cleaning – wherever your skills and our needs meet. Work parties are from 6:30 to 9 p.m. at Sharing Wheels Community Bike Shop, 2531 Broadway, Everett. Our entrance and parking are at the back of the Broadway Mall building. Upcoming work parties: 6:30 to 9 p.m. Sept. 15, Oct. 20, Nov. 17. Speaking of volunteers, we need a volunteer snack provider for each work party. Let us know if you like to bake cookies or buy salsa!